Is the end of ownership near? A water and sanitation perspective. VIA Water and IRC are pleased to welcome you to an inspirational session with Thomas Rau, a renowned speaker, innovator, visionary and thinker on the topics of the end of property and the circular economy. 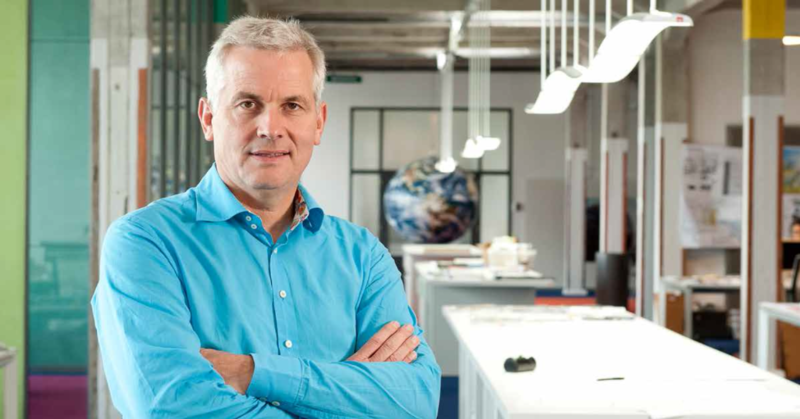 He is ranked among the Top 5 Dutch key players in sustainability and was elected as Dutch Architect of The Year 2013. Thomas Rau’s motto is ‘guided by the future’. This translates to projects such as ‘Pay per lux’ where light is sold instead of light bulbs, the leasing of refrigerators to low-income families and a temporary building of which all materials can be re-used for other purposes in 20 years. During his talk he will take us on an investigative journey on how this thinking can be applied to water and sanitation in low-income settings in (peri)-urban and rural areas of developing countries. Catarina Fonseca (Head International and Innovation Programme IRC) will be the discussant at the event, which will be moderated by Willemijn Nagel (Knowledge Manager and Programme Coordinator VIA Water). Developing water and sanitation infrastructure (pumps, pipes and toilets) is expensive and so is their long-term maintenance. Particularly small service providers (water committees, small entrepreneurs) struggle to raise enough revenue to replace old or broken infrastructure assets they own which often results in broken pumps and collapsed toilets. Part of the solution may lie in ‘end of property’; instead of owning a piece of infrastructure it is leased. The owner ensures its maintenance and earns from the lease or selling the service. This construction provides an incentive to the suppliers of infrastructure to ensure infrastructure lasts as long as possible. Background Information: With this background paper we have mapped the extent to which this is applied to the sector. Read it here.